All Green Electronics Recycling is pleased to help businesses in the Chicago area to get the most out of their IT Equipment with Certified IT Asset Disposition (ITAD), Secure Data Destruction and Electronics Recycling. Hard Drive Shredding services are a critical way of ensuring that your data is fully protected. Chicago is found in Northern Illinois and is home to the Area Headquarters for All Green Electronics Recycling. This business office is the head office for All Green’s operations in Wisconsin, Iowa, Indiana and Missouri. Help in keeping Chicago clean and e-waste free by recycling your electronic devices with All Green. Electronic waste or E-Waste describes discarded electrical or electronic products. Unusable electronic devices that are headed for reuse, resale, restoration, recycling or disposal are also thought of as Ewaste. Typical processing of electronics waste in developing countries can result in serious health and pollution problems, simply because these nations have limited regulations or oversight of E Waste handling. It is estimated that 55 million tons of Ewaste are created every year. The US trashes 30 million computer systems every year and 100 million cellular phones are dumped in European countries each year. There is a substantial amount of Chicago E Waste turned out as well. The EPA estimates that just 15-20% of E-Waste is recycled, the rest of these electronics go straight into landfills and incinerators. All Green is the leader in handling Ewaste in a reliable, trustworthy method. If you're looking for electronics recycling in Chicago, let All Green take care of your e-waste. The electronics that we recycle are guaranteed to never show up in a landfill in another country. To schedule a Chicago Ewaste pick up, take the time to fill out the form on this site. 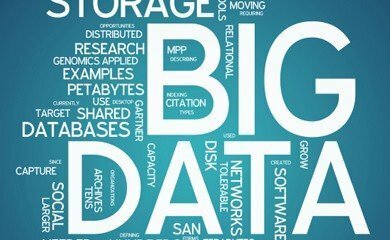 When data destruction and security are not treated with the attention they should have, it can lead to millions of dollars in damages and a totally ruined reputation. 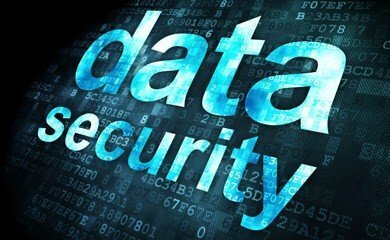 Regardless of whether your business is subject to stringent privacy laws and regulatory requirements, your organization can not afford to risk sensitive information falling into the wrong hands. With out on-site hard drive shredding services, you can watch your data being destroyed. Chicago is home to a large number of data centers as well as corporate HQ for many substantial worldwide businesses, so we supply you with on-site hard drive shredding services in addition to our standard data destruction services in Chicago. With the most sophisticated hard drive shredding trucks in the industry, All Green offers services that are completely incomparable! With a population of 2.7 million residents, Chicago is the third-most populated city in the country, only surpassed by New York City and Los Angeles. Hard Drive Shredding and Data Destruction are critical for businesses throughout Chicago. 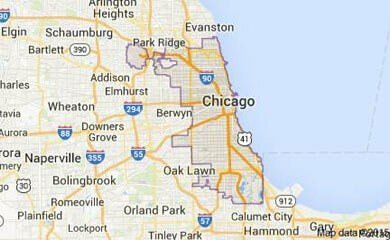 At the heart of the Midwest, Chicago is the largest metropolitan area in Illinois. It is home to the O’Hare International Airport, the world’s busiest airport, making the city a global center for finance, industry, commerce, technology and transportation. Considered to be one of the best cities for sports, Chicago has athletic teams in every major professional league. The Chicago area is home to notable colleges and universities, including Northwestern, DePaul, Loyola, and University of Chicago. All Green’s 7-Step IT Asset Disposition, Electronics Recycling and Data Destruction process in Chicago and the adjacent areas. 1. You possess used IT Equipment – If it plugs in to the wall or usually requires batteries, we can handle it! 2. Call or click to schedule IT Recycling – Our Chicago customer service specialists are ready to help 6 days per week. 5. We responsibly provide transportation for everything – Your electronic equipment is securely transferred & tracked at every single step. 7. Eco-Friendly Recycling – Authorized to the strongest standards with ISO14001 and R2. All Green is a Registered Microsoft Refurbisher with dedicated systems created to optimize returns to our customers. Our repair and resale processes are designed to get you the highest possible value for all of your outdated IT assets. Repurposing and resale of IT Equipment has never been simpler with our streamlined processes. Anywhere in Chicago, you can transform your IT Asset Disposal program into a sales revenue stream by allowing All Green in Chicago to pick up, track, thoroughly clean and repurpose your out of date IT Assets. The resale of computer systems, laptops, servers, hard drives, monitors, mobile phones and tablets is what we do best! Let us do what we do best while you focus on what you do best and get the highest return on your IT Equipment. Major firms and even educational institutions such as University of Chicago, University of Illinois at Chicago, DePaul University, Loyola University of Chicago and Columbia College Chicago in Chicago rely on repurposing IT Equipment in order to purchase new electronic equipment as often as possible. All Green’s mobile hard drive shredding trucks operate in the Chicago area to provide coverage for the broad number of corporate headquarters and firms based in The Windy City. The landscape in Chicago and neighboring areas including Midwestern, Great Lakes, Arlington Heights, Berwyn, Cicero and Gary enables us to operate hard drive shredding trucks that can go to your business location and shred your hard drives while you watch. Federal government agencies such as Federal Executive Board, Federal Bureau of Investigation and US General Services Administration rely on secure destruction of their information and you should too. If you will not require witnessed hard drive shredding in Second City, we also offer pickup hard drive destruction and wiping solutions in addition to pack and ship data destruction services. The state of Illinois has rigorous destruction and disposal guidelines so we ensure proper handling and security for all of your computer equipment.